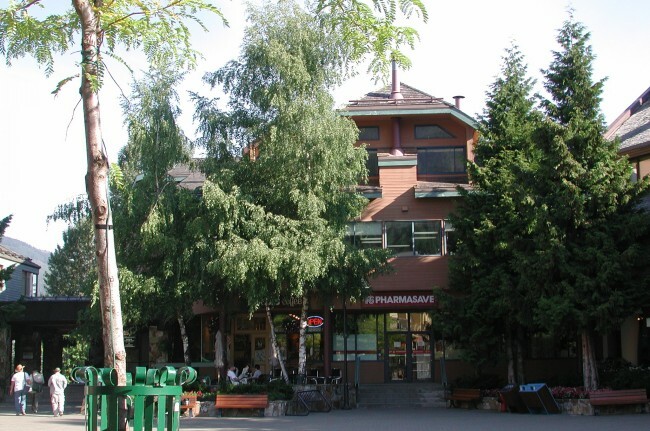 "Tamwood Whistler - 7% discount on any course"
Tamwood's English school in Whistler is located in the center of North America's number one holiday resort destination, and is only two hours by car from Vancouver. 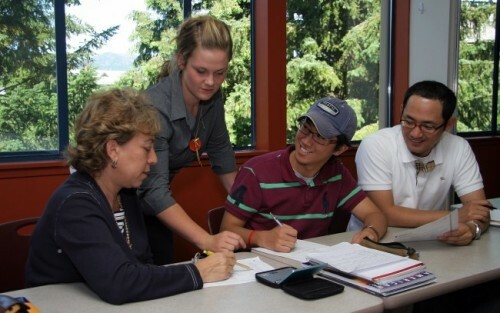 The Whistler English school is open year round for general English programs taught by qualified and caring teachers. From December to May, the school also offers adult students English classes combined with professionally taught ski and snowboard instruction and the Level 1 Ski/Snowboard Instructor certification courses. 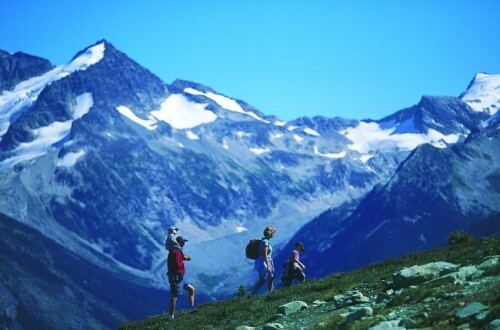 Come and enjoy our mountains, lakes, rivers, shopping, restaurants, great social life, nightclubs and outdoor activities including: skiing, snowboarding, hiking, tennis, golf, paragliding, white water rafting, kayaking, mountain biking, rock climbing, in-line skating ... Whistler has it all! 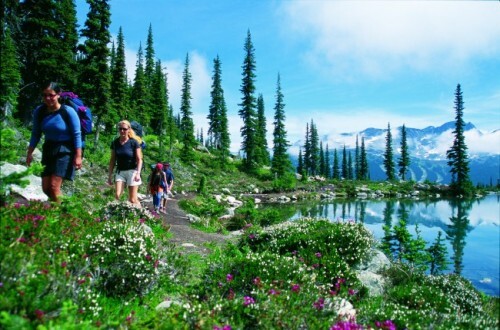 The Standard English Course in Whistler makes use of the integrated approach to language learning. Classes cover all of the essential language skills. Students study Essential English Skills for 3 hours and can spend ample time exploring North America's premiere ski, snowboard and mountain bike resort! The Full-Time English in Whistler programme makes use of the integrated approach to language learning. Classes cover all of the essential language skills. Students study Essential English Skills for 3 hours and take either a Workshop or Evening Class for 1-2.5 hours every day. Learn to ski and snowboard or improve your techniques in small group lessons taught by Whistler Blackcomb professional coaches. Program includes Standard or Full Time English course plus on mountain ski or snowboard lessons (2 hours/day) and lift tickets for selected dates. This program is suited to beginner and low intermediate level riders and skiers of all levels. For students who want to ski or snowboard but are not looking for instruction. Program includes the Standard or Full-Time English course with lift tickets for selected dates. For students who want to Mountain Bike but are not looking for instruction. Program includes the Standard or Full-Time English course with lift tickets for selected dates. Why not learn more than English this summer? In this program you will take English classes in the morning and join experienced instructors for a guided lesson in the Whistler Mountain's Bike Park in the afternoon. There are a variety of routes to match your ability and excitement level. You will receive a great mix of tour and clinic elements depending on the desires of you and your group. Patient, professional instructors will progressively introduce you to braking skills, cornering, and riding graduated drops and jumps. 2 weeks of English instruction and seminars that prepares students’ English for the Canadian Ski Instructors Association ("CSIA") course and exam (level 1), which they take during the last week of the course. Contact Tamwood for detailed course description. 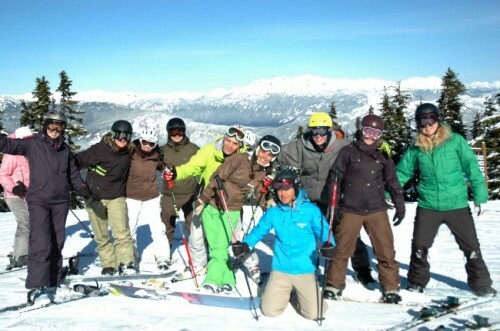 Instructor certificate programming and exams are offered by the Canadian Ski Instructors’ Alliance, not by Tamwood. Hours / week:20 hours of English, 5 seminars over two weeks, 2.5 to 5 hours of free riding per week and 3 days on mountain exam. 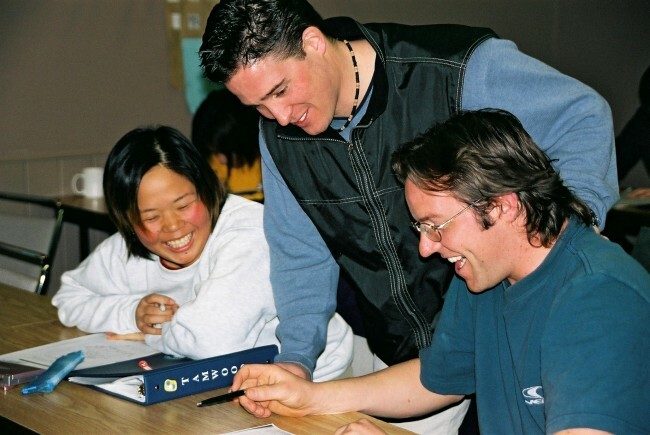 2 weeks of English instruction and seminars that prepares students’ English for the Canadian Association of Snowboard Instructors ("CASI") 3-day exam (level 1), which they take at the end of the course. Contact Tamwood for detailed course description. Instructor certificate programming and exams are offered by the Canadian Association of Snowboard Instructors, not by Tamwood. Private lessons are designed to meet the personal needs and goals of the student. Students can combine private and group lessons. Many students use private lessons to focus on specialized vocabulary for their career. Tamwood's international ESL summer camp at Whistler combines English classes with instructional and recreational activities, sightseeing tours and social and cultural events. 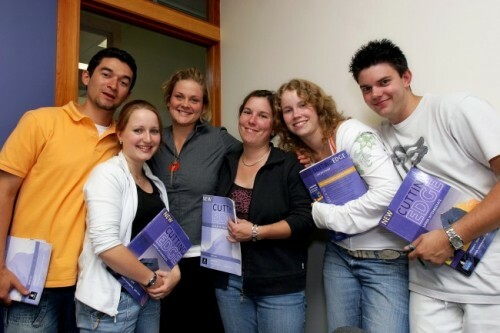 The goals of this program are to teach students English, to educate them about the world through integration with students and staff of different cultures, to raise their awareness of international issues, to teach them valuable skills that will last their lifetime and give them a wonderful and memorable experience. All aspects of the program including the English classes, activities, tours, meals and accommodation, are designed to ensure that these goals are achieved. Get ready for extreme outdoor adventure. 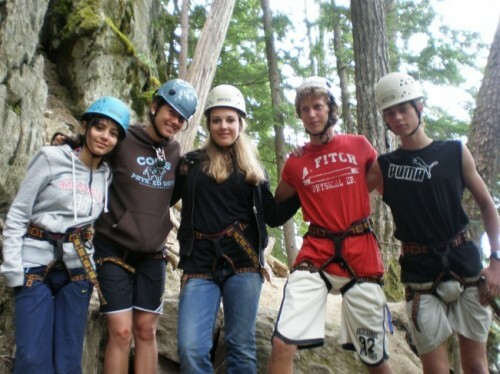 Jump into structured rock climbing, kayaking, hiking, orienteering, camping, mountaineering, and mountain biking. If you are 13 -17 years of age and think you are ready for something new and challenging, this camp is for you. With some of Canada’s best rock climbing, hiking and mountain biking terrain, Whistler is an adventure seeker’s dream. It’s a huge house in a very nice setting, less than 20 minutes from the school by bus, a great bike ride distance away with trails everywhere. We will designate one of the 7 bedrooms as a study room so that students can go there to get some quiet and get work done.